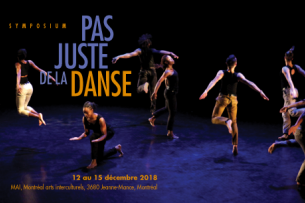 Julio Hong will present a dance intervention on rhythm, spirituality, and ancestry during the Not Just Dance Symposium this coming December 14, from 11 AM till 12 PM, at the MAI. Founder of Compagnie Danse Nyata-Nyata and creator of the symposium, Zab Maboungou, will comment on the intervention. Zab imagined the 4-day Not Just Dance Symposium as an opportunity to embrace the aesthetic and intellectual challenges represented by and the art of dance inherited from and inspired by rythmcultural traditions of dance and music. No doubt that the fusion of Afro Cuban traditional, contemporary and ballet dance performed by Julio Hong will create an inspiring dialogue!